Real Estate Data in the Palm of Your Hand. DataTree Mobile provides quick, accurate, intuitive access to property and ownership information wherever, whenever you need it. DataTree Mobile links your iPhone® and iPad® * to the nation’s largest real estate database. This ever-growing resource contains data points on 100% of the U.S. housing stock. 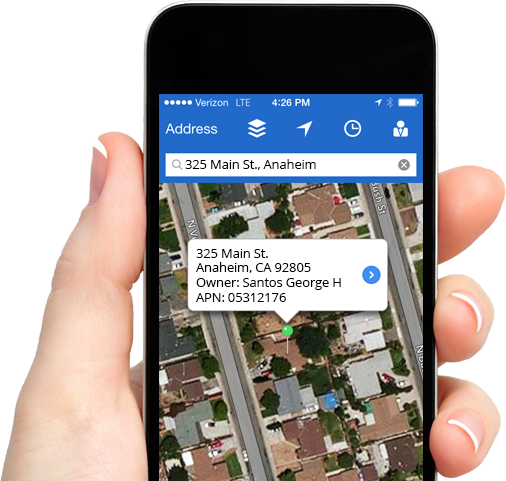 Tap a property using aerial map imagery to locate owner name, address, and APN. Obtain property ownership, sales information, historical transaction information, and identify comparable sales data. Enter text parameters to search for properties using owner name, address, or APN. View, text, email and print copies of recorded land images and property reports right from your device. Acquire current tax payment status and assessment values. *Use of Data Tree Mobile for iPhone and iPad app requires an account. If you are an existing customer, please use your DataTree.com username and password to access the app. If you do not have an account, please call 800.708.8463 (Option 1) to get set up in just minutes. iPhone and iPad are a trademark of Apple Inc. registered in the U.S. and other countries.